The Sketchers GORun Speed 3 shoes are a fantastic 5k to marathon racing shoe, but should not be confused for a daily trainer. You can use this shoe as a daily trainer, but it will not be as durable, and you might find the fit to be too tight for daily use. 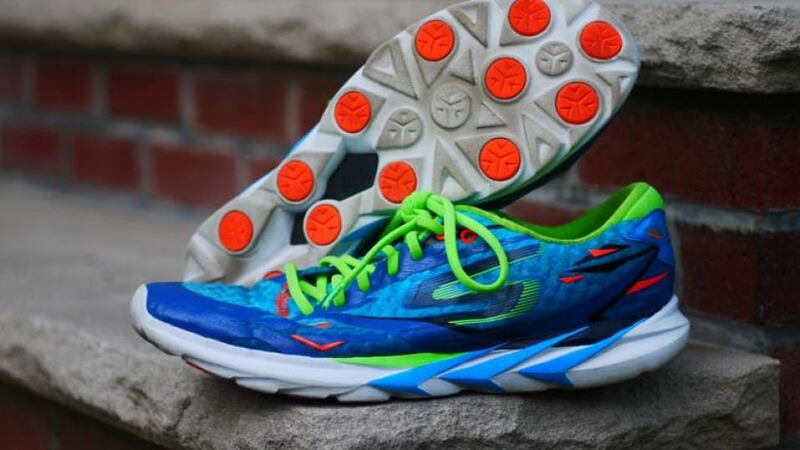 The Sketchers GORun speed 3 is a racing shoe designed for the neutral runner looking for a shoe that will give a bit more support than the standard racing flat. 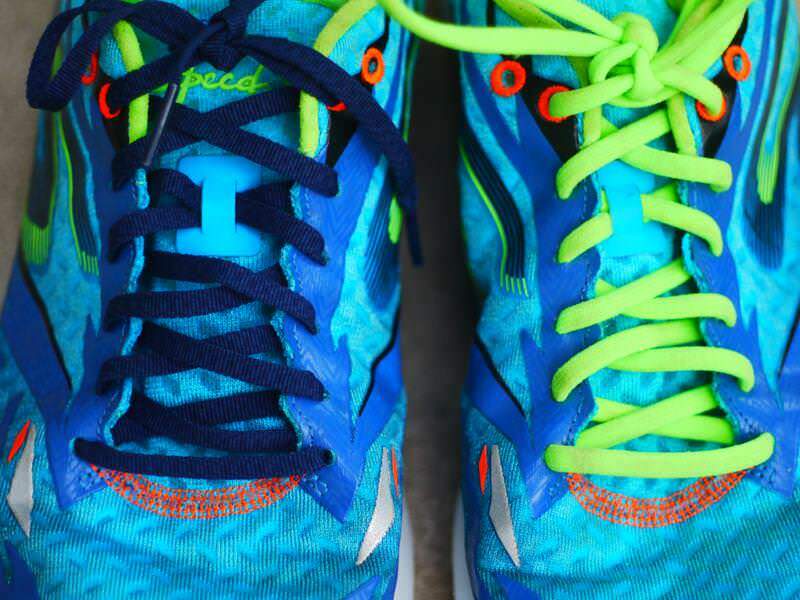 The GOmeb Speed 3 shoes are the update to the GORun Speed 2s. This naming convention is slightly confusing, but they’re the same line of shoes. The reason why they are sometimes called GOmeb instead of GORun is because they’re now the official shoes of Meb Keflezighi. You know… the American distance runner who won Boston in 2014 and who is an Olympic Medalist. 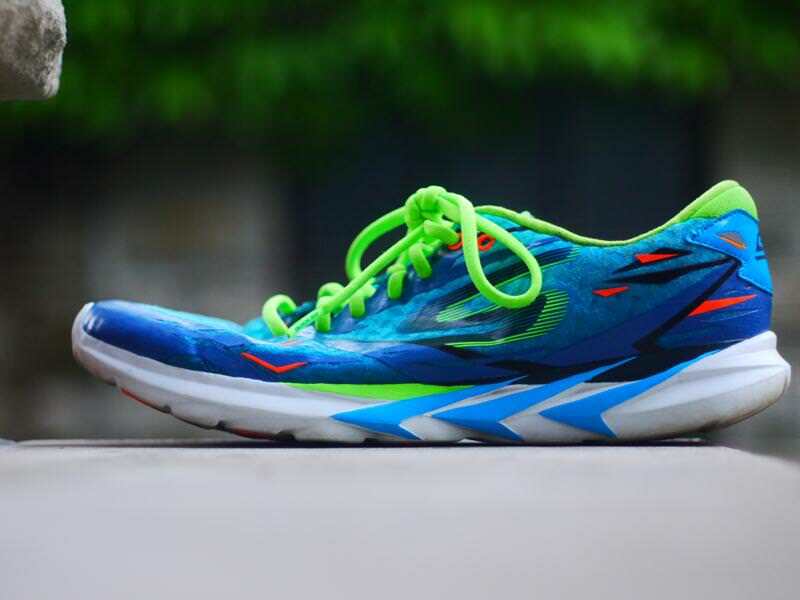 It also goes a bit deeper than what appears to be a standard product endorsement: Meb had a lot of input in the design of the shoe which means this shoe is tailored for fast marathon runners. The shoe has a stack height of 18mm in the heel and 14mm in the forefoot which results in a 4mm drop. The previous model of this shoe had a 4.8mm drop, and the model before that had a 6.1mm drop. I would not be surprised if the next version of this shoe is a 0mm drop. Even the stack heights in this shoe are lower than the previous model which makes for an even more responsive ride. Just note that the shoe is a tad heavier even though it uses less foam. The sole of this shoe uses a very minimal amount of rubber. There are just 12 pods of rubber embedded in the foam to give you just enough traction. The rest of the sole is made out of Sketcher’s Resalyte Foam. This foam is frequently used in the performance line of skechers shoes for its durability and cushioning. I would say it’s a slightly firmer version of Nike’s Lunarlon foam (see the Nike Lunar Tempos). The Speed 3s flex nicely across the whole length of the sole and you can crumple them up in your hands almost like the Nike Free shoes. The Resalyte foam doesn’t wear down super fast, but it’s still foam and I saw a moderate amount of wear after the 50 miles of testing. The midfoot has a large gap in the foam, exposing a Delrin midfoot stability plate. Although this is a similar design to the previous models, skechers lengthened this gap to give the shoe a bit more midfoot deflection. The Delrin plate is just there to keep the shoe from flexing too much. Why Delrin? It’s a synthetic polymer known for stiffness, strength, and impact resistance. I just think it was gimmicky for Skechers to put a fake carbon fiber pattern on top of the Delrin. If you have a midfoot strike, these shoes will accommodate you well. skechers didn’t put any “crash pads” or special foam in the heel, which is why heel strikers might want to avoid these shoes. You can also see from the side profile of the sole that it has a bit of a curve to it, anticipating a midfoot strike. Skechers uses a 3D printing process to add overlays on the upper for support with minimal added weight. 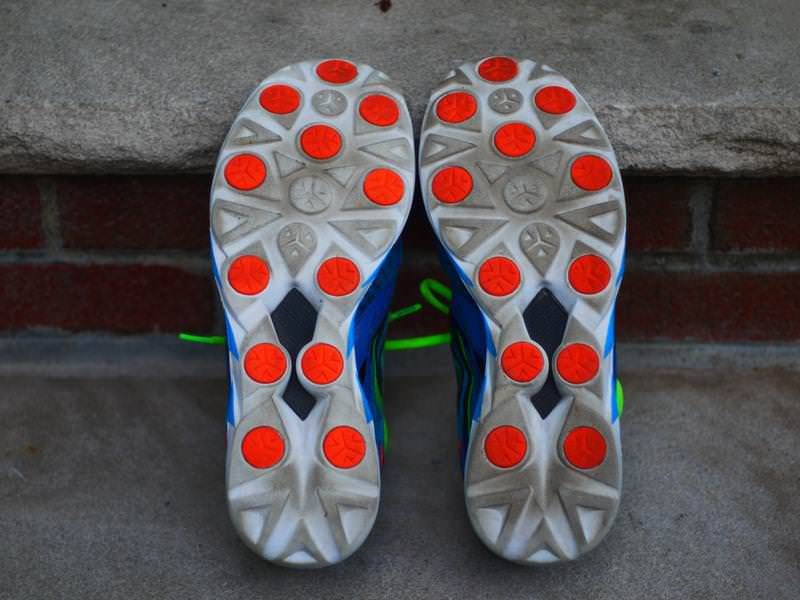 I’d say it’s similar to the FlexFilm you see on lots of Saucony shoes like the Kinvara 5s or the Ride 8s. These overlays feel like they’ll keep the upper together longer and they’re hardly noticeable while running. They’re not as restrictive as the Flywire technology Nike uses on their shoes for support and the overlays look somewhat stylish. I say somewhat stylish because the whole color scheme and design of these shoes reminds me of bus seats from the 90s. A better way of putting it is that these shoes are intentionally flashy. Speaking of flashy, Skechers has a few patches of reflective material around the shoe which will keep you visible even after the sun sets. The majority of the upper is constructed from a material with what seems to be breathable fabrics sandwiching a thin grid work of small rectangles and holes. This gives the upper a unique look, and extra breathability. The tongue is made from the same material, so it’s very thin and flexible. The Nike Zoom Air Elite 7s also had a thin tongue, but with different materials than what they used in the upper. This uniform material throughout the shoe means uniform breathability. The upper was also designed around the fact that many runners will use this shoe sockless. I did a few sockless runs in this shoe and felt pretty comfortable during them. The heel cup has a slight fuzz to it which seemed to prevent chaffing. skechers also glued down the inserts so your bare feet will connect better in the shoe. They’re only lightly glued in, so you can still pull the inserts out if you want to replace them (or if you just like playing around with inserts). It’s still not the seamless barefoot experience you get with the Under Armour Speedform Apollos. With all this sockless running, it was a smart move by skechers to add in Agion antimicrobial technology to keep down odors. But does it work? Yes! It’s not like you’ll have fresh smelling shoes all the time, but you will have fewer funky smells in the shoe. You might have noticed in one of the pictures that the shoes had different types of laces. Skechers ships the shoes laced with standard flat laces (shown in blue), but also ships a set of Quick-Fit laces (shown in green) with the shoes. They’re ABSURDLY stretchy. Even more stretchy than the laces in the Saucony Ride 8s. They literally double in length if you pull hard enough (yes, I measured). I tried a few runs with these laces and I was hooked. After lacing them up and tying my first knot, I never bothered untying and tying ever again. You just pull up on the tongue and laces to stretch the shoe open, slip your feet in, and go! Because they flex so much, they are super for people who have feet that swell up a lot during longer runs. The issues with such stretchy laces are that you don’t have a very responsive platform for lateral movement, and you have to tighten up each part of the shoe individually since pulling at the end of the laces just stretches the ends out. 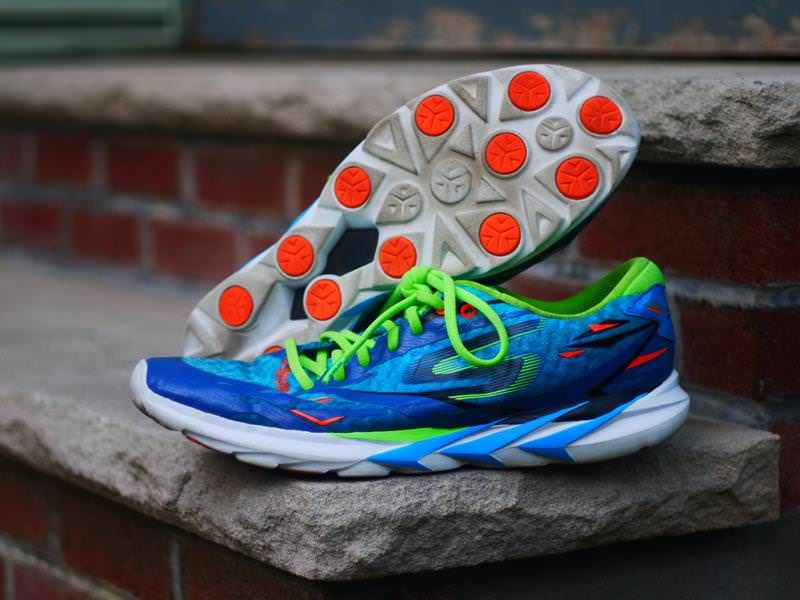 The skechers GOmeb Speed 3 is a race-ready shoe that’s surprisingly good for just the 3rd iteration of a new shoe line. It’s aimed at marathoners, but can be used as a racing shoe for distances as short as 5ks, and could also be used as a daily trainer if the user is ok with a shorter than normal lifespan. The extra Quick-Fit shoe laces are fun and useful, but may not be for everyone. Overall, I’m happy with these shoes and would recommend them to neutral runners looking for a high-mileage racing shoe. We thank the nice people at Skechers for sending us a pair of GoRun Speed 3 to test. This did not influence the outcome of the review, written after running more than 50 miles in them. You’re best off calling them the GoMeb speed 3 2015 model. I think the title change to this shoe was recent to prevent confusion when comparing it to the gomeb speed 3 2016. 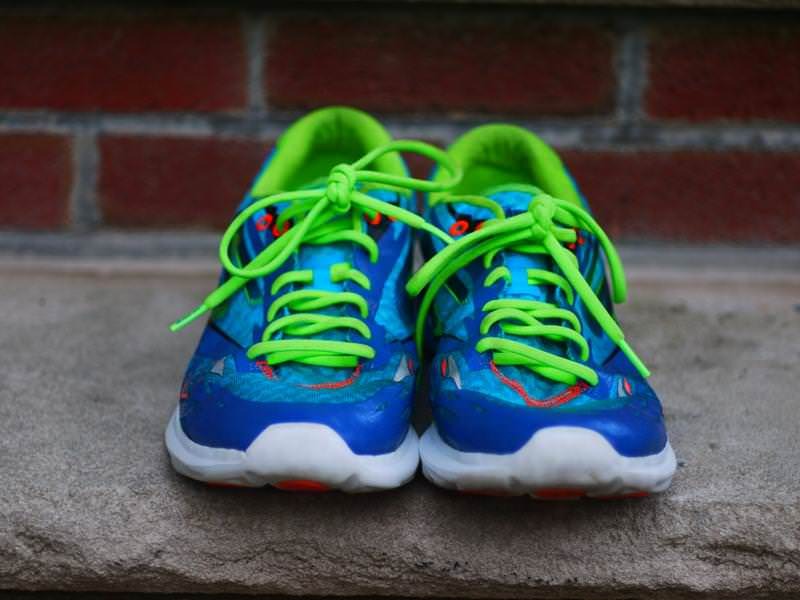 This isn’t the original GoRun shoe, but it does originate from the GoRun line.